Provided are the address location, type of motorcycle tests provided and other facilities for motorcycle riding test centres in Orkney. 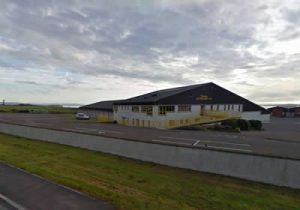 Within the Orkney area, there is currently one motorcycle riding test centre. The Orkney riding test centre situated in Kirlwall provides Module 1 (off-road) and Module 2 (on-road) practical tests. Both modules can only be taken from DVSA (Driver and Vehicle Standards Agency) practical riding test centres, of which are detailed below along with services offered. Official Motorcycle test routes that are listed on Motorcycle Test Tips and provide riding test candidates with a great resource for an understanding of the different types of roads that are to be expected during the module 2 on-road test. All test practical test routes for motorcycles are developed by the examiners who conduct the module 2 tests at each specific test centre. Routes can change over time or on a daily basis due to weather, traffic or road conditions.